Irving Shipbuilding is the Canadian Surface Combatant prime contractor, which will build all 15 ships at Halifax Shipyard. 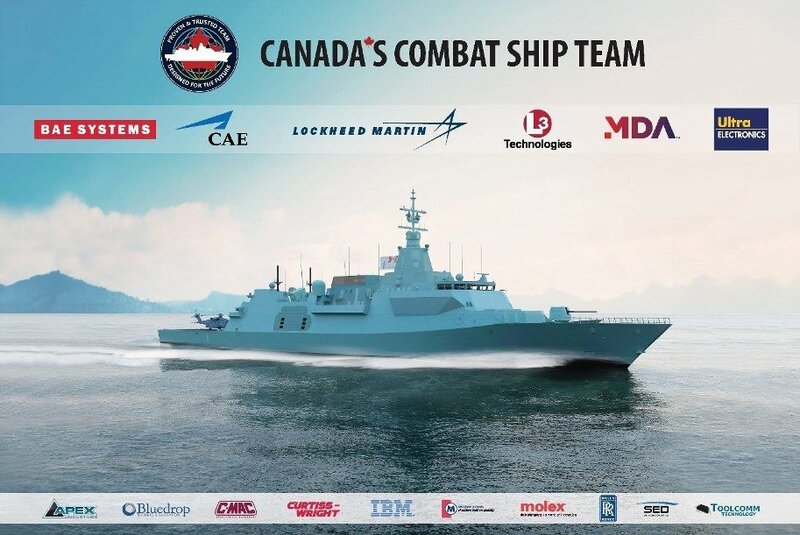 The most advanced and modern warship design, the Type 26 Global Combat Ship, was offered by BAE Systems, CAE, Lockheed Martin Canada, L3 Technologies, MDA and Ultra Electronics called the Canada’s Combat Ship Team. The solution involves the internationally acknowledged and Canadian-developed combat management system, CMS 330. “This award is true validation of our Canadian capability. Our team is honoured, knowing that we offered the right solution for Canada and a proven ability to perform on complex defence programs. Lockheed Martin Canada is ready to continue serving as Canada’s trusted Combat System Integrator, as it has for more than three decades, leveraging the innovation and talent here at home that will ultimately result in unprecedented economic outcome for Canada,” said Gary Fudge, Vice President and General Manager, Lockheed Martin Canada Rotary and Mission Systems. The Canada’s Combat Ship Team of these six companies combines a uniquely skilled workforce in 40 facilities from coast to coast and supply chain of more than 4,000 small and medium sized enterprises. Several additional partners, including Rolls-Royce with its Canadian-designed and manufactured Mission Bay Handling System, were also engaged by the team. The Mission Bay Handling System will enable adaptability for the ships’ operations. The Type 26 Global Combat Ship is a globally deployable multi-role warship, which meets the mission requirements of the Royal Canadian Navy. Acoustically quiet and highly survivable, it has been developed for high-end anti-submarine warfare and is capable of performing a variety of missions.